J Owen Lewis is Chair of the Energy Institute in Ireland and chairs the IIEA Working Group on Climate. He is also Emeritus Professor of Architectural Science, UCD Dublin, and Hon Secretary of the Irish Green Building Council. He is a member of the Boards of the National Gallery of Ireland, the Marine Institute, and the Tipperary Energy Agency. Owen is Vice President of the Royal Dublin Society. 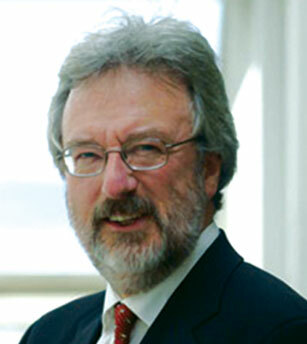 Owen was previously Chief Executive of the Sustainable Energy Authority of Ireland (SEAI) between 2009 and 2012. Qualified as architect, engineer, and energy technologist, he has practised professionally in Ireland, England and Zambia. He was part-time Executive Director for Innovation and R&D at Bord na Móna between 2006 and 2008. Owen was Dean of the Faculty of Engineering and Architecture at UCD Dublin and later Principal of the UCD College of Engineering, Mathematical and Physical Sciences. In 1976 Owen co-founded the Solar Energy Society of Ireland.